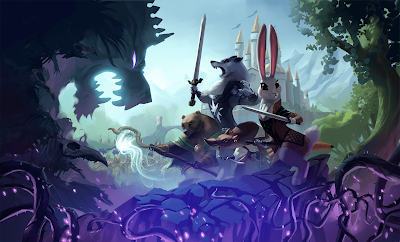 Armello is a video game, but it's also very much a digital board game. Everything from the aesthetics to the gameplay feel like a board game while the game has all the conveniences of a video game. I picked it up on Steam for PC but it looks like it's coming out on PS4 as well. 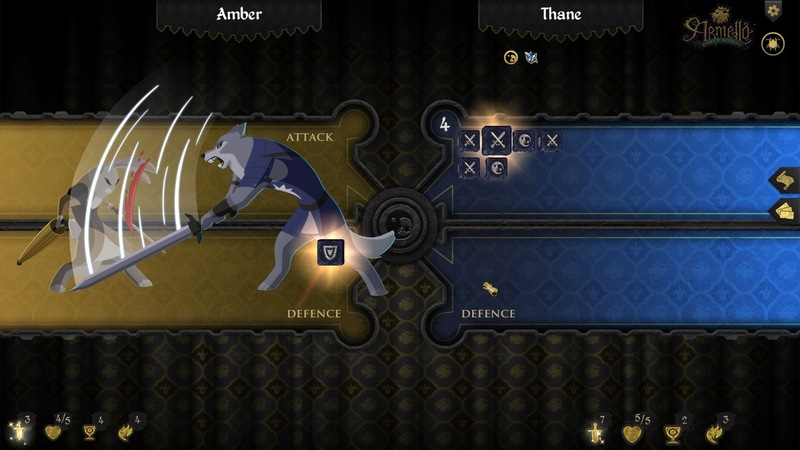 The game sells itself as Game of Thrones via animal avatars... and it's kind of right. You won't get any sweeping narratives here but you will get an unpredictable contest for the throne of the kingdom. You see, the king is filled with corruption and is slowly dying. When he finally dies one of the animal Heroes in the world will become the new king. It could be you. There are a handful of ways to become king. Kill the corrupt king, cleanse the king of his corruption, or just end the game with the highest standing in the realm when the old king dies. Like it says up their in the title, this game is early access. It truly shows in the new player experience. The tutorial is non-existent. You learn about the gameplay and objectives through tool-tips while you're playing your first game. They do not do an adequate job. My biggest gripe about the game is that I had to go spend a good hour of time with the wiki for it to start to understand what was going on. Luckily for Armello, it's still in early access and has time to improve. 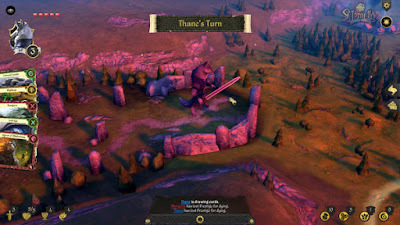 I think that if a solid tutorial was put into the game along with some more hand-holding during the new player experience this could really be a cool game. I'm probably not going to play it much more until it's out of early access and is officially launched. That being said, this is still a game that you should keep your eye on once it officially releases.